Im supposed to be on a spending ban but I've been shopping again. My excuse was that I haven't had a bath pretty much all summer with the hot weather, so it was time to catch up on some pampering time. For me the words pampering & bath are automatically linked to Lush, so there's definitely some sense to my spending right? I'll just tell myself that it's true. Lush is just one of those place that I love to go in and have a good sniff around whilst I marvel at all their products. I could easily loose hours in there and not even realise the time speeding by. Truth be told I wasn’t a fan of Lush until a few years back. When I was younger it just didn’t seem to hold my interest, as I don’t think I fully appreciated the idea of having a bath purely for relaxation or pampering. I also though it was one big room full of overpowering scents so I was sure that going in there would give me a mighty headache. As I got older Lush slowly started to grab my attention and soon enough my curiosity couldn’t take it anymore as I decided to just go in (regardless of the headache I might get). Surprisingly enough the headache never appeared and I thoroughly enjoyed browsing around. Now that I'm older, an adult as I like to think, I finally realise the purpose behind baths and take them regularly in order to give myself a night of pampering. Of course there’s no way I would take a bath without a Lush product of some kind (what would be the point). I usually always go in and pick up the same few bits, how adventurous of me eh? But this time I decided to go wild and get a few things I've never tried before. 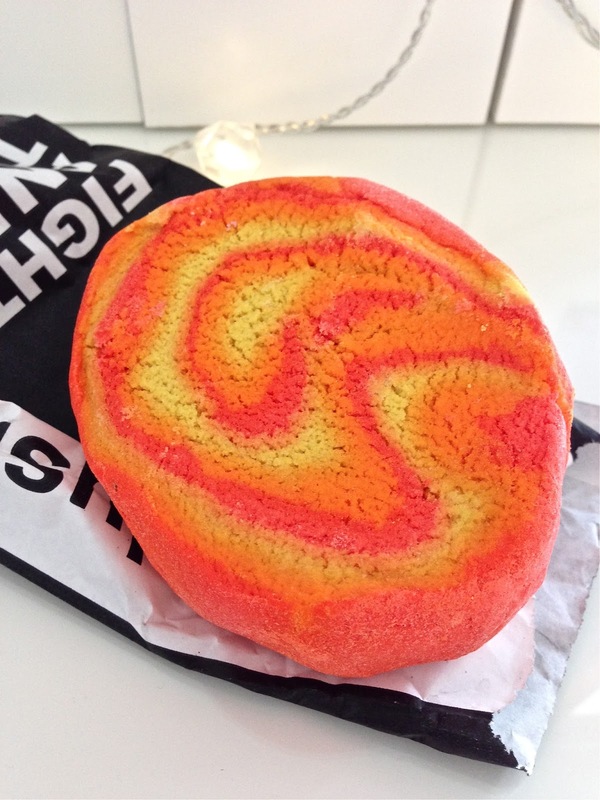 First up is this amazingly, brightly coloured bubble bar Brightside, which smells so fresh and citrusy. I usually go for the Comforter which is incredibly sweet scented with berry notes, but when this orange coloured bar caught my eye I said 'feck it' and quickly put it in my basket before I could change my mind. I can’t wait to try it out and see if it's as good as my beloved Comforter, either way I'm sure I'll enjoy it and use up every last crumb. I love getting these bubble bars, as I mange to get about 4 uses out of them since they are pretty easy to crumble in your hands. So although they’re priced at a spendy £4.50 they’re definitely worth it in my eyes. Next up is this gorgeous bath bomb Think Pink, which apparently turns your water pink as it dissolves leaving small rice paper confetti behind. I don’t know about you but this pleases my inner child immensely. I think it looks so cute and adore its not-too-overpowering vanilla scent with a fresh fruity twist. This is priced at only £2.50 but you do only get one use out of it, which is the case with all bath bombs. I've personally never tried to break a bath bomb in half or crumble it (I’m sure it’s not impossible but I would imagine it could be messy). Instead I just use it all in the one go and enjoy every minute of it. Lastly I've got another bubble bar, this pretty pink Creamy Candy one, which smells amazing. I was told this suits anyone with a sweet tooth (and I definitely fall into that category more than I would like to admit). It has a sweet candy floss scent and the colour is more muted compared to the rest. It is packed with almond oil and cocoa butter which claims to give you that extra moisturisation leaving the skin velvety smooth. The lazy part of me looks forward to this, as I should be able to skip moisturiser. I'm absolutely delighted that autumn has greeted us, so I can enjoy having baths again now that the weather is cooler. I look forward to using up all my bath goodies and I'm already planning my next trip. What can I say I'm a total weakling when it comes to Lush but I secretly love my addiction. 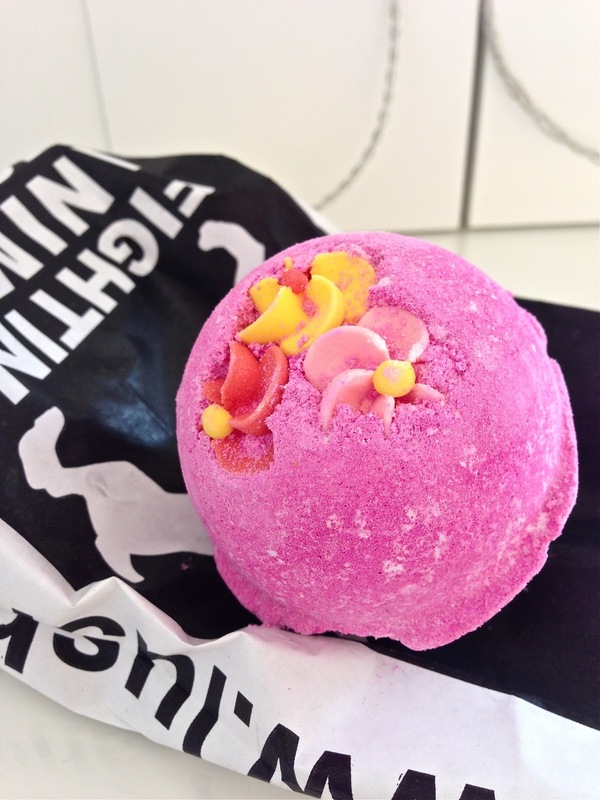 What are your favourite Lush products? Do you enjoy baths as much as I do? I supposed to be on a spending ban, and found myself in lush a few days ago when I felt in need of a pamper, how strange! I'm starting to feel the urge to run the bath again too! I've still got a bath bomb that I made during a workshop at Lush several months ago - might actually take the plunge later and use it up. Brightside looks so good, normally I'd go for Comforter as you get loads for your money, and it smells amazing too. But I think Brightside is the opposite of Comforter, so wouldbe good for a wakeup bath or a fresh zesty bath! Love to see a full review on that! Now I want a lush bath haha! I hate spending bans! They're so hard to stick to! Lush make the most amazing bath products- although out of these I've only tried the think pink bath bomb. I think it's my fave one so far. It smells so good and is super pretty! I love their bath bombs! They last forever! 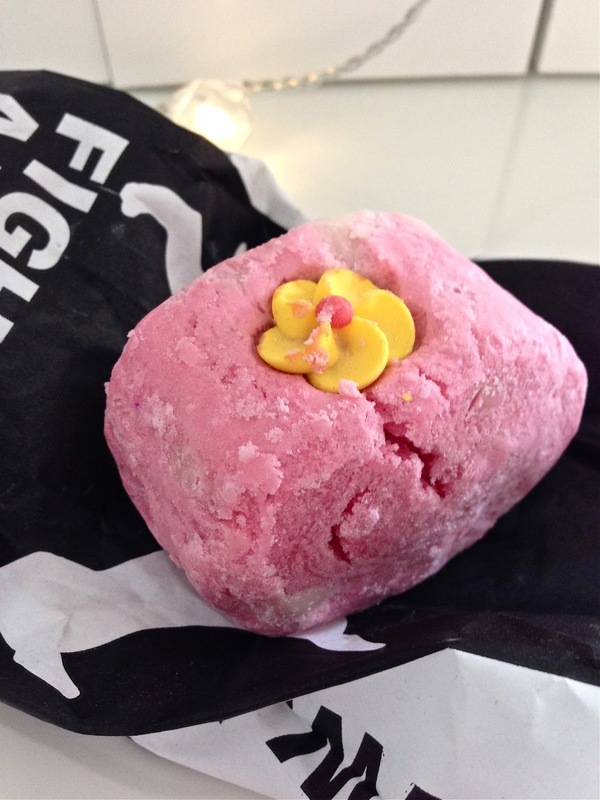 Creamy Candy is my ultimate favourite Lush item I reckon, I'm addicted to the smell!